WINSTON-SALEM, N.C. – Across the world, Descemet Membrane Endothelial Keratoplasty (DMEK) is becoming the standard of care for endothelial dysfunction. Miracles In Sight (MIS), a nonprofit eye bank that recovers, processes and distributes ocular tissue, is helping reduce the learning curve for this new surgical technique by offering traditional, pre-loaded and free-floating DMEK grafts. 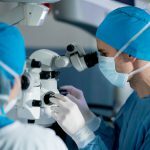 The DMEK surgical procedure involves transplanting donor Descemet membrane and endothelial cells into a recipient with a damaged or diseased corneal endothelium. The surgery takes less than 30 minutes and has demonstrated the ability to restore sight in legally blind patients. Surgeon partners collaborating with MIS for nearly a year have experienced positive outcomes using pre-loaded and free-floating DMEK tissue, reporting that it saves time in the operating room. MIS offers customizations for DMEK tissue to meet a surgeon’s requirements. DMEK tissue can be pre-punched to specific diameters, marked with “S” stamps to aid in graft orientation or pre-loaded into a modified Jones Tube for injection. MIS strives to be at the forefront of ophthalmological care and continually seeks new and innovative techniques to fight corneal blindness as they are developed and perfected. Miracles In Sight (formerly the North Carolina Eye Bank), based in Winston-Salem, N.C., USA is one of the largest eye banks in the world. 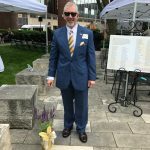 The mission of Miracles In Sight is to support the restoration, preservation, and enhancement of sight through transplant, research, education and innovation. A significant part of this mission is stewardship focused on training and educating the medical community and supporting partners and organizations around the world. For more information, visit www.miraclesinsight.org. Miracles In Sight has promoted Isaac Perry to Director of Research and Development. 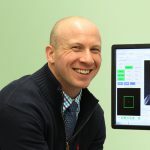 (Winston-Salem, NC) – Miracles In Sight (MIS), one of the largest eye banks in the world is proud to announce it has promoted Isaac Perry to Director of Research and Development. Perry previously served as Director of Clinical Services at MIS. In this newly created position, Perry is moving from the core, day-to-day operations of the eye bank to one that’s focused on the company’s future growth. Perry is looking forward to using his extensive background in eye banking in this new position. He began at MIS more than eight years ago as a lab technician, working his way up to supervisor and management roles. He has a BS in Biology from UNC-Chapel Hill, an MBA from Wake Forest University, and has completed his core coursework for an Masters in Public Health from UNC-Chapel Hill’s Gillings School of Global Public Health. He is also planning on taking the Project Management Institute’s (PMI)® prestigious Project Management Professional (PMP)® certification exam in the coming months. 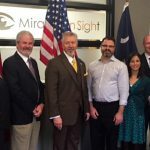 Miracles In Sight (formerly the North Carolina Eye Bank), based in Winston-Salem, NC, USA is one of the largest eye banks in the world. The mission of Miracles In Sight is support the restoration, preservation, and enhancement of sight through transplant, research, education and innovation. A significant part of this mission is stewardship focused on training and educating the medical community and supporting partners and organizations around the world. Everyone knows that the human eye is made up of distinct parts and regions—the cornea, the retina, the optic nerve, and so on. It is less commonly understood, says Daniel Saban, PhD, that funding for research and treatment of eye disorders tends to be similarly divided and compartmentalized. That’s why a recent $500,000 gift from Miracles In Sight to Duke Eye Center to support early career faculty research into diseases and disorders of the cornea is so important. The support, Saban says, brings together two rare but critical resources: funding for corneal research and expert scientists with the knowledge and skills to make important advances. Read the entire article in Duke Eye Center’s 2017 Vision Magazine. Everyone knows that the human eye is made up of distinct parts and regions — the cornea, the retina, the optic nerve, and so on. 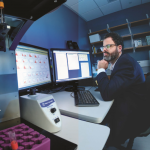 It is less commonly understood, says Daniel Saban, PhD, that funding for research and treatment of eye disorders tends to be similarly divided and compartmentalized.